Posted on October 29, 2015 by Long Engineering, Inc. 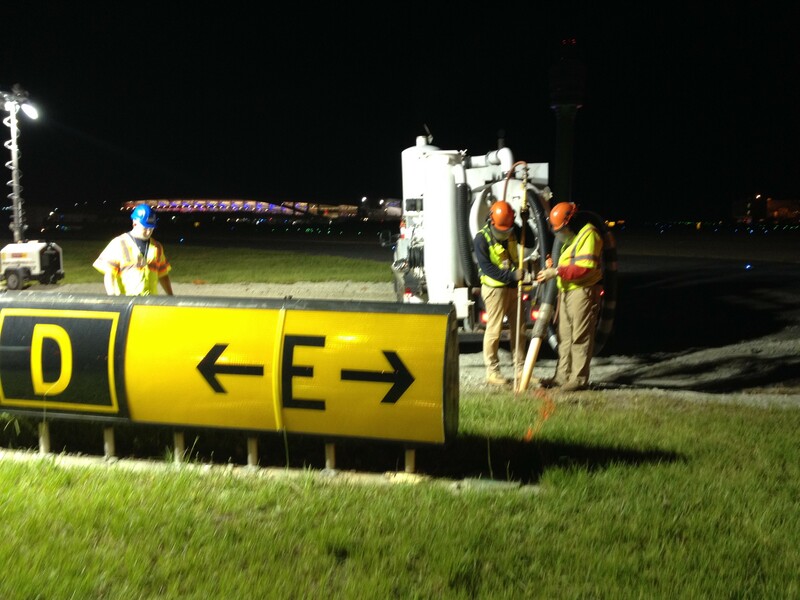 The intent of this project was to provide safety improvements to the North, Central and Southern runways. A large portion of these improvements included excavation. HJAIA was aware of the potential damage that could be caused to their existing underground infrastructure so they required that all utilities be located prior to any excavation activities. Long Engineering Inc. was selected to provide Subsurface Utility Engineering (SUE) by both CW Mathews and Kiewit Contractors who were awarded the project. These services included designating (to horizontally locate), locating (test holes), survey and CAD services of all underground utilities. This provided the exact location of each utility and allowed the contractors to excavate without damage to the existing infrastructure. LONG’s approach was to field locate underground utilities within the improved areas. Once the utilities were marked, test holes were to be performed at various locations along the utility. The utility marks and test holes were then surveyed and applied into AutoCAD. Deliverables to the client included drawings showing the horizontal and vertical position of each utility. In all, more than 15,000 ft. of utilities were designated and over 300 test holes were performed. These services were completed in 3 months and not a single damage to existing utilities was encountered.